In the internet age, the best recipes can come from anyone, anywhere – it doesn’t have to be that cooking bible your grandmother swore by. So, after much deliberation, we’ve made a list of some of our favourite food sites from across the region. The following list includes blogs of all different styles, from big-name foodie hotspots to more modest culinary diaries from hidden gems. Just One Cookbook began as a way for San Francisco resident Namiko Chen to keep track of her favourite Japanese from abroad. Eventually, it grew into a buzzing spot for amateur chefs to find delicious and easy-to-cook Japanese dishes, from appetisers to desserts. We recommend the Instant Pot Asian Pulled Pork, the Kitsune Udon and the Yuzu Sorbet. Rasa Malaysia (“Taste Malaysia”) is a feast for the eyes as well as the taste buds – it’s absolutely loaded with beautiful recipes from Malaysia as well as other parts of Asia. Most of its 1200+ recipes are original concoctions from the blog’s founder, Bee, who cut her teeth consulting for some of the largest global food brands. Try out her Ginger Soy Soba, Malaysian Lamb Rendang and Prawn Fritters. In keeping with his blog’s title, celebrity chef Marc Matsumoto encourages readers to experiment and try new versions of his recipes, which include a variety of Asian and Western dishes. No Recipes is meant to be a sort of anti-cookbook – it makes cooking simple, approachable and fun for people who would otherwise be intimidated by a kitchen. Play around with his Spicy Lemongrass Crab, Firecracker Curried Scallops with Linguine and Cinnamon Tea Smoked Duck with Green Mango Slaw. “I’m a fun sized girl with a huge appetite for life,” writes the Singapore-based blogger known as “C”. 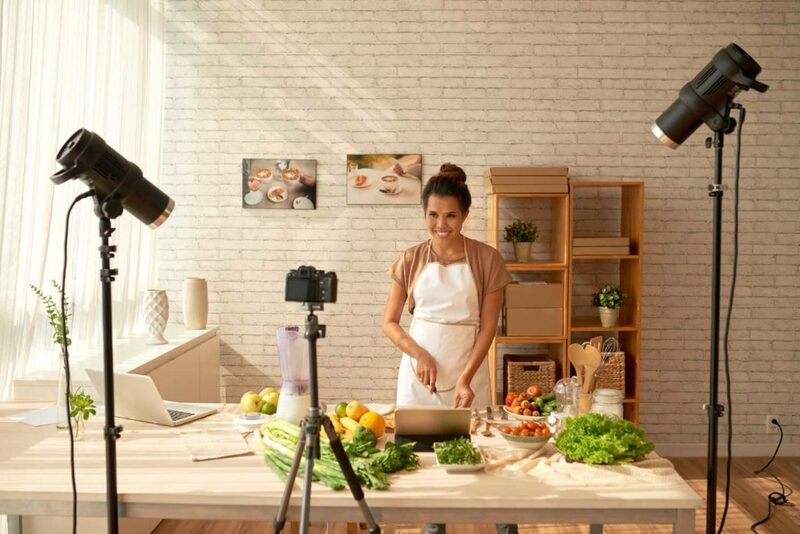 Ms Skinnyfat is a very personal blog that follows her culinary escapades to restaurants and cafes around Singapore – plus musings on topics such as nutrition, fitness and fashion. Her funny, sensitive personality carries through in each post, in which she reminds readers that healthy eating isn’t just a habit, it’s a lifestyle. Chef Maggie Zhu updates her traditional family recipes for Chinese cuisine and gives them a modern twist. Omnivore’s Cookbook is where the traditional meets the experimental in Chinese cooking, perfect for both beginners and people looking to add a little flair to classic dishes. Her recipes, for example, include a traditional scratch-made dumpling recipe that makes use of modern appliances, and American takeout-style orange chicken that is fresher and healthier than the normal restaurant fare. Poojah’s Cookery tells of the culinary adventures (and misadventures) of a half food stylist and recipe designer, and half Indian housewife. Her recipes have grown and evolved with her own life experiences: over the years she’s borrowed ideas from travels, jobs and even her in-laws. Poojah’s Cookery is an excellent source for homestyle Indian dishes made with love. We recommend Poojah’s Sesame Seed Sweet, Rechaedo Chicken Naan Wraps and Goan-style Sardine Curry. “Sometimes healthy, sometimes fatty, always happy,” is the slogan of this Manila-based blog that embraces the fun side of Filipino cooking. Author Erwan Huessaf’s recipes come alongside posts about nutrition, travel and life in the Philippines in general. Check out The Fat Kid Inside’s Baked Sweet Potato Curry Puffs, Buckwheat Pancakes with Red Wine and Spiced Poached Pear and tips on how to get the slime off okra.